SPRINGFIELD, Mass., April 8, 2019 – As part of a commitment to its growing Workplace business, Massachusetts Mutual Life Insurance Co. (MassMutual) has appointed a new leader for its voluntary and executive benefits businesses in support of employers and their employees. Shefali Desai has been named Head of Worksite, a new position reporting to Teresa Hassara, Head of Workplace Solutions for MassMutual. 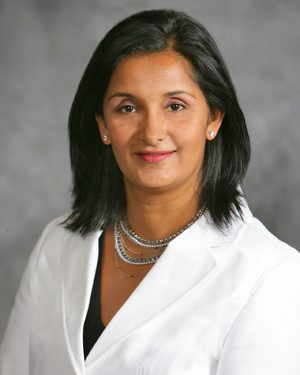 Desai, a 19-year veteran of MassMutual, is now responsible for management and ongoing development of the full Worksite portfolio, including voluntary benefits and executive benefits. Worksite, which provides protection benefits such as life, disability, critical illness and accident insurance through employers, complements MassMutual’s retirement plans business with the goal of enhancing the financial wellness of Americans through their employers. MassMutual is expanding its voluntary benefits offerings as part of its larger mission to enhance the financial wellness of all Americans. Recently, MassMutual introduced MapMyFinances, a new workplace financial and benefits planning tool to help workers assess and balance their short- and long-term financial needs. Based on the data provided by users, the tool analyzes each individual’s personal financial needs and budget, and then sets priorities accordingly, creating a to-do list of simple, actionable steps to improve his or her financial wellness score. As head of Worksite, Desai will focus on the end-to-end customer journey, including web experience, underwriting process, operations, client acquisition and customer communications. Previously, Desai had led MassMutual’s Workplace Strategy, Delivery & Analytics, focusing on developing WPS strategy and partnering within the organization to define financial, pricing and asset capture goals and deliver results. She has also held leadership roles in retirement plan sales management, customer support roles, financial management, and mergers and acquisitions. A graduate of Babson College, Desai holds Series 7, 24 and 63 FINRA registrations.